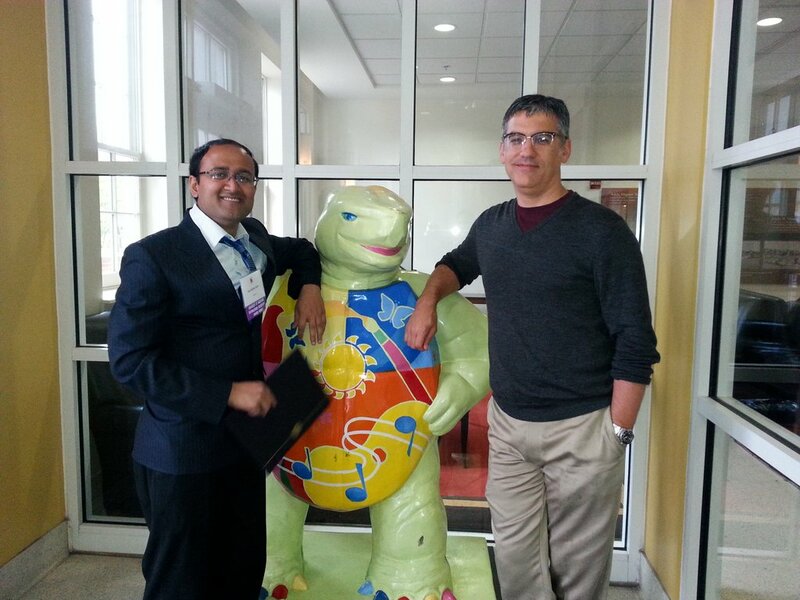 Rajibul Islam was recently awarded UMDs Distinguished Dissertation Award for his thesis work on quantum magnetism with ions in Chris Monroe's Trapped Ion Quantum Information group. According to the graduate school's website, "The Distinguished Dissertation Award recognizes original work that makes an unusually significant contribution to the discipline. Both methodological and substantive quality will be judged. Awards will be given each year in four broad disciplinary areas: 1) Mathematics, Physical Sciences, and Engineering; 2) Social Sciences; 3) Humanities and Fine Arts; and 4) Biological and Life Sciences." Islam received the award in area (1). This year 625 students across all disciplines received PhDs from UMD.